Do you know the pH value of your saliva? Do you even know what that means or why I would be asking? 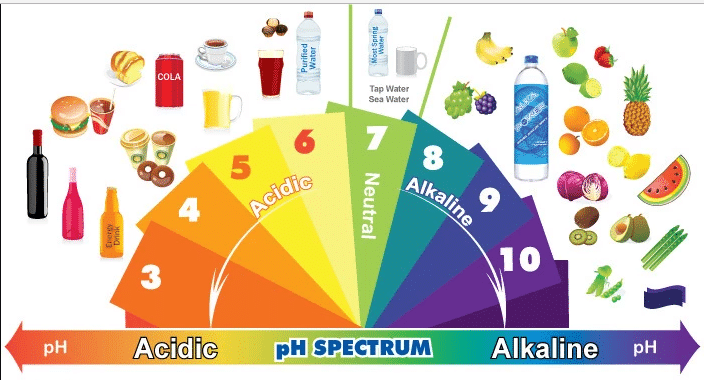 The pH value is a figure that measures the acidity or alkalinity of your saliva. Most people who took general science in high school learned about acids and bases. Acids, as you may guess, can erode your enamel. Healthy acidity levels of saliva are 7+, a neutral pH. As the number on the scale gets lower, the more detrimental the effects on your teeth. The enamel and dentin begin to break down and you will suffer from tooth decay. Now you may ask, how am I supposed to know the pH of my saliva all the time? This is a valid question. I think the better option is to be aware of the general acidity of the foods you consume, which in turn affect your saliva. I will give you an example. At a pH value of 0, you have battery acid. Coca cola has a pH value of 2.5. This drink is absolutely horrible for your teeth, and for your body if you really think about it. Is soda part of your diet? Do you drink it more than once a week? This is a detrimental habit for your mouth. Some of the other foods on the “consume sparingly or never” list are, Sweet N’ Low sweetener, Vinegar, Coffee, Wine. Some of the foods with higher pH values that should be consumed frequently are raw spinach, broccoli, carrots and almonds. I won’t lie, I drink coffee, wine and I use vinegar on my salads quite often. The most important point to consider is that balance is everything. For a whole list of the pH values, I recommend googling it. Print out the list and leave it on your fridge as a reminder. Balance meals by pairing acidic and non-acidic foods. The acidity of a food is balanced and the effects are reduced when consumed with a non-acidic food. To maintain a healthy balance, try to balance acids/alkaline foods at a 60%/40% ratio. Unfortunately, there are other factors which affect your saliva such as stress. Stress can take its toll on all areas of the body. This is where self-care is extremely important. Sleeping more, eating right, exercise and mindfulness are imperative to living a healthy life. Although, this seems simple I know it is sometimes the hardest things to do. Being in school full time as a single mom, I know stress. We all just have to find a way to manage it.